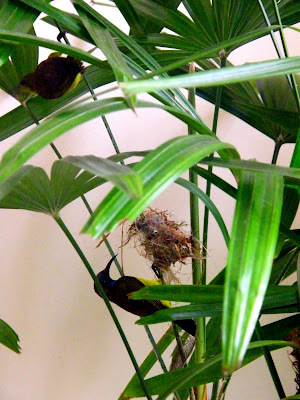 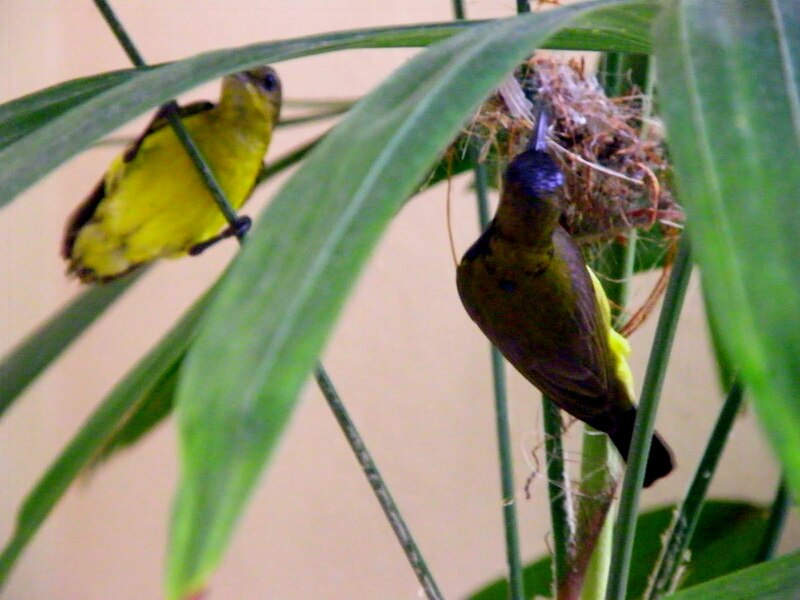 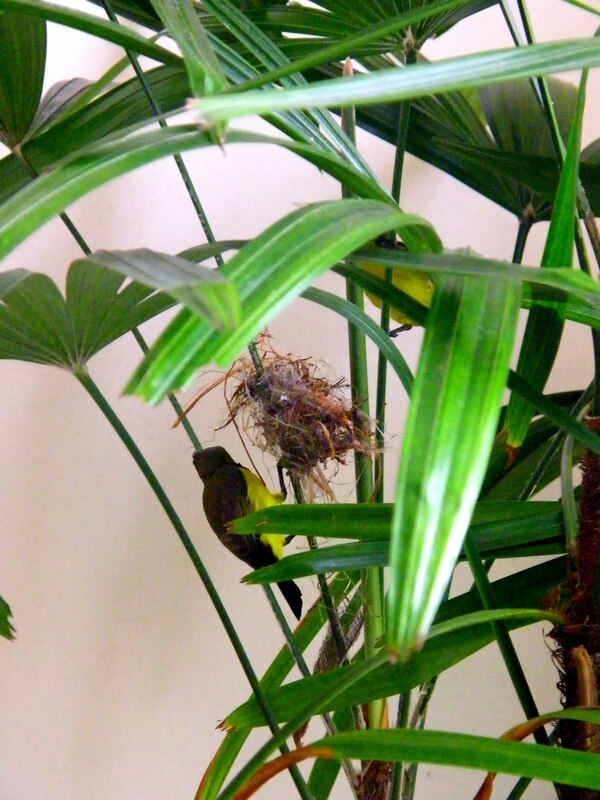 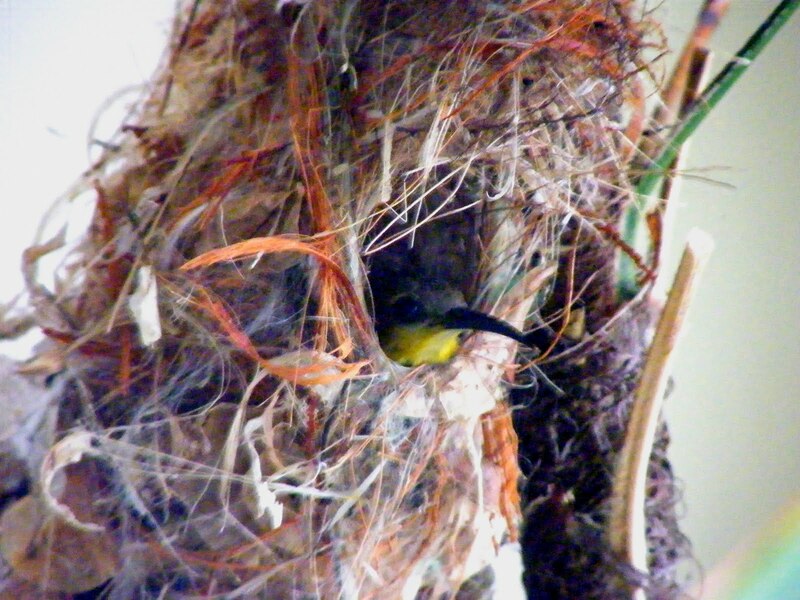 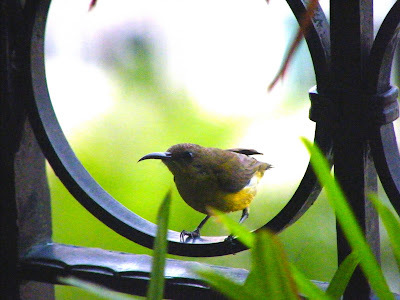 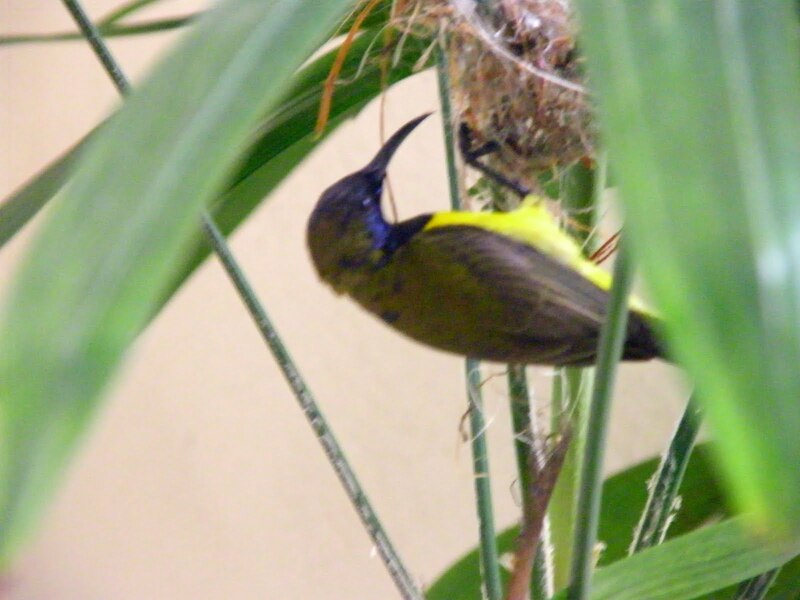 The two regular Sunbird visitors have decided -- they are moving in! 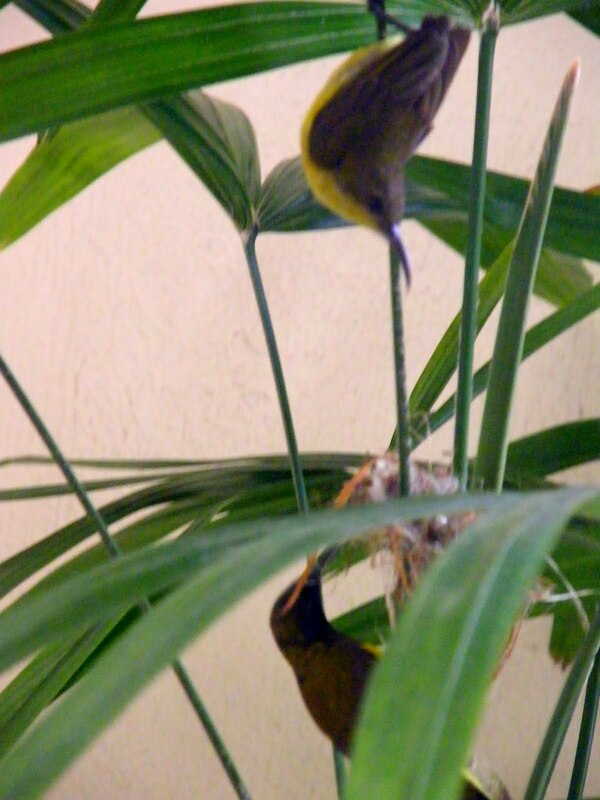 So they started - weaving their nest twig by twig. For each twig, they would have to to fly hundreds of feet away to collect them. 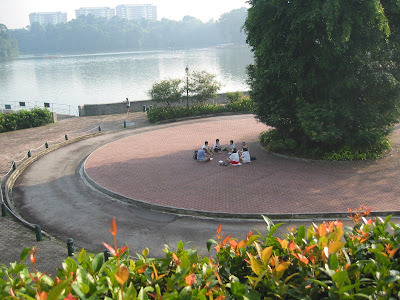 Its painstaking (to me as a human being), but the birds didn't seem to mind. 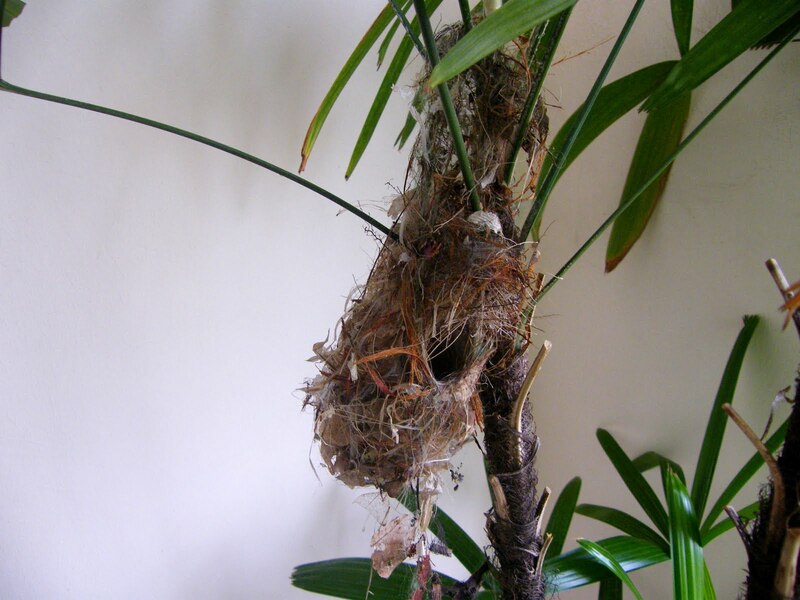 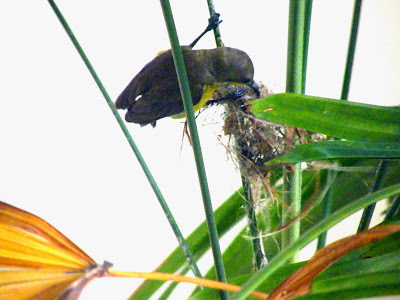 It is fascinating that they had in them the construction know-how - to hang it off a branch, to get the right shape and size, and even to keep a cute opening for the mother bird to enter and also to rest her head while sitting on her eggs.